Capacity Building And Women Empowerment Through Small Business Development Projects In Tanzania. Women unemployment is one of the greatest challenges being faced by African economies and Tanzania is not spared from this predicament with an unemployment rate of eighty percent (80%). Sixty-eight percent (68%) of this figure are girls youths. Of these youths unemployed females constitute nineteen percent (19%) and males constitute (11%). This study sought to address this prevalent issue of youth unemployment and poverty in Tanzania’s. The idea was to introduce and reinforce the importance of obtaining a self-employment mentality through an entrepreneurship thrust based on small enterprise development education to youths in Iringa and Njombe Regions in Tanzania. Participants met once a week to participate in group building activities, get insights to what it will take to run a small enterprise, and receive information on services that are available to help them along the way. Twenty women ventured in a micro-credit provision revolving soft loans fund project and successes and challenges were noted. Through interviews, questionnaires, focus group discussions and observations the researcher found out efforts being made by their generation to make ends meet and to have a sustainable project. Poverty alleviation has become a serious global concern. Many efforts have been made worldwide to eradicate poverty such as economic modernisation, Marxism, structural functionalism, dependency and scientific socialism. Development strategies such as donor aid have created a dependency syndrome among recipients and in most cases it has failed to become a sustainable solution to development. Imposed interventions have not alleviated poverty and it’s a sign that solutions should be people-driven since the people are not subjects but custodians of development. Youths girls of today ought to be empowered by developing in them competencies; knowledge and skills require producing goods and services to satisfy their needs. According to Swaneapoel (2000), this amount to capacity building, making productive resources available to the underprivileged and establishing efficient and effective administrative and institutional structure. The topical issue in this twenty first century is to establish sustainable projects which satisfy the needs of the present without compromising the ability of future generations to satisfy their needs (World Commission of Development and Brundtland report, 1987). However, Tanzania is facing vast economic and social development challenges. One of the major challenge is the high rate of unemployment, particularly among women and youths. The Integrated Labour Force Survey of 2000/2001 in Tanzania indicated that the rate of unemployment is 12.9 per cent, of which 57.6 percent are women and 40.4 percent are men. The Survey also revealed that unemployment rate had increased from 3.6 per cent in 1990/91 to 5.1 per cent in 2000/01. Estimates further revealed that every year about 650, 000 youths are entering the labour market. The fact is, unemployment problem is more severe to women and youths compared to men. These are the main segments of the rural population which constitutes 80 percent of the entire population in Tanzania. The problem of unemployment we are experiencing today is a result of several factors. These include low capacity of the economy to absorb the labour force due to low investment, high levels of population growth, low economic productivity, underdeveloped agricultural sector which absorbs more than 75 percent of the work force in Tanzania and lack of well developed industrial sector just to name a few. It is therefore important to have more than 80 percent of our plans geared towards the development of agricultural and related sectors so as to provide employment opportunities to many of our people. Failure to invest in agriculture implies compounding the unemployment problem. 6) Establishing a mechanism to identify and formalize properties and business owned by people in the in formal sector through Property and Business Formalisation Programme for Tanzania whose Kiswahili acronym is MKURABITA; and provision of Tsh. 1 billion for each region as a soft loans facility to small and medium entrepreneurs to create self employment. At the global level, Tanzania has complied with, and implemented the International Conventions and Laws governing employment. In this regard, we have ratified eight ILO Core Conventions. In the same vein, Tanzania has been actively implementing various outcomes emerging from a range of international fora in collaboration with ILO. Good examples are the UN implementation resolution of the recommendations emanating from the report of the World Commission on the Social Dimension of Globalisation; and Ministerial Declaration of the High Level Segment of the 2006 ECOSOC Substantive Session. 5) Inadequate technical support, credit facilities and infrastructure business knowledge, to the segment of the population engaged in informal sector. 7) Encourage efforts that are geared towards reduction of population growth rate for example family planning. 4) Establishing mechanisms to facilitate Tanzanians to be employed abroad and repatriation of remittances. The Children Care Development Organization (CCDO) has an obligation to establish conducive and friendly environment for the growth of the private sector through engaging international volunteers interested in this project. The aim is to facilitate investments in potential sectors which will result into creating more jobs for our people. I want to assure you that, the CCDO values your contribution to these endeavours and other job creating economic activities in general. Let the job creation agenda be a priority in our programmes and projects. 3) To establish a feedback mechanism that will provide inputs to the labour market information system. Furthermore, a research study on development programmes focusing on youth unemployment is not only desirable, but also a challenge. Mokoena (2013), pointed out that unemployment plunges youths in poverty which implies social exclusion, lack of participation, lack of command over resources, insecurity and vulnerability. Unemployed youths are among the poorest people of the world. Furthermore, unemployed youths are susceptible to sexual abuse by wealthy adults, thus exposing them to ravages of the HIV/AIDS pandemic. They must be empowered so that they resist the temptation to engage in promiscuous behaviour as they try to salvage their desperate plight. In light of this, a study of youths’ capacity building programme entails an evaluation of the effectiveness of Capacity Building and Women Empowerment Project in Tanzania. The aim of the programme is to empower these vulnerable women youths and save them from a desperate situation which may lead to vicissitudes. This might result in attainment of self esteem, like sustenance and freedom from servitude, which are the core values of development. I argue that women youths in Tanzania are among the most vulnerable to poverty and diseases and the initiative by the Capacity Building and Women Empowerment Project (CBWEP) maybe an effective and sustainable way to alleviate their poverty. 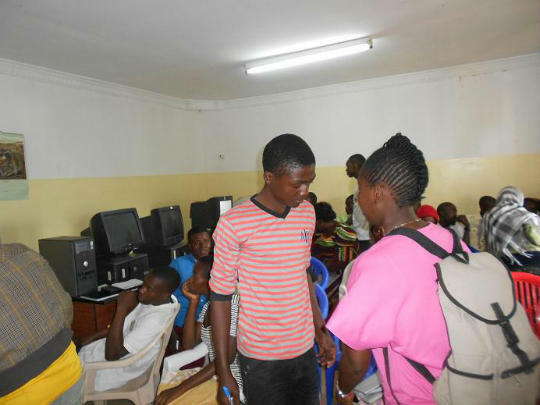 The government of Tanzania undertook to empower youths. According to the Tanzania National Employment Policy Framework. The Tanzania government has a ministry set aside for youths that is Ministry of Youth Development, Indigenisation and Empowerment where youths funds are available for them to borrow. However, this remains a mere rhetoric that youths are assisted by the government to create employment as there are several bottlenecks to achieve this goal, lack of political will, corruption and lack of funds. In such an environment youths should not lay idle waiting for assistance from the government or non-governmental organisations (NGOs), as assistance is not always available of forthcoming. Therefore youths should change their mentality of being employment seekers but to be self starters and become employers. The Government of Tanzania fully recognises that productive employment and decent work, especially for the youths, cannot be achieved through fragmented and isolated interventions. On the contrary, this requires sustained, determined and concerted efforts by all stakeholders, including those most affected, mainly youths Tanzania had an underperforming economy since 2000, and the youths were the hardest hit. The wave was not discriminating; it affected all youths that including university graduates, “A” and “O” level holders and the uneducated. 1) Community capacity is maximally built for future sustainability of all development initiatives and OVC/MVC care and support. 2) Highest quality staff are employed and restructured for Community capacity building and for effective resource utilization. 3) Lessons learnt, best practices replicated for continuous learning and change management. 1) Cultural beliefs and practices. 4) Gender issues – low girl child school enrollment, low status of women who cannot make decisions. Iringa Municipality is the capital of Iringa region with population of more than 106,371 residents according to the 2002 census. Out of this population 32% are youth. The town has numerous socioeconomic problems such as poverty, poor infrastructure, unemployment, poor social services and social ills. These make the town to be incompatible with the booming population that is hungry for these services. Young population is becoming dominant population group in the town. This group is also the most affected group of society by the above stated socio –economic constraints. 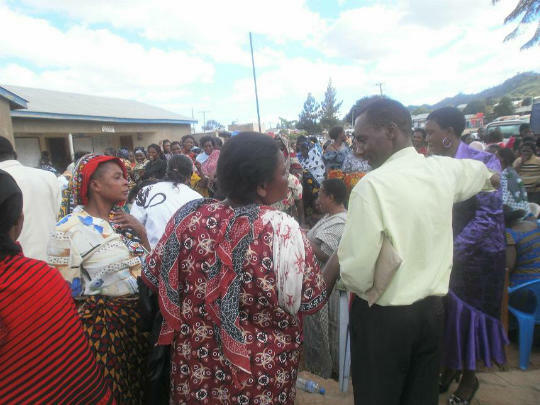 The young sect of society in Iringa is alarmingly increasing from time to time because of three reasons 1) high rural to urban population 2) the strategic location of the town 3) the presence of some government institutions. 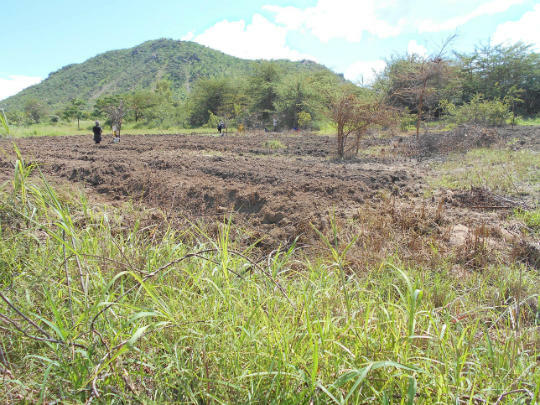 Rural area of Iringa district is generally characterized by high land shortage causing low productivity. 1. Is CCDO effective in eradicating poverty among youths through its training, entrepreneurial skills, development and small enterprise management strategies? 2. What challenges does CCDO face in implementing its youths’ capacity building and poverty alleviation programme in Tanzania? 3. What recommendations can be offered to improve the effectiveness of the programme. In this study we mixed theoretical literature study and empirical research methods. Literature for secondary data collection included journal, newspaper and magazine articles as well as Masters and Doctoral Dissertations. Ministry of Youth Indegenisation and Economic Empowerment policy documents, workshop reports and minutes of meeting were also visited. Primary data was collected through structured interviews. Permission was obtained from CCDO management to conduct this research among its members. Interviews were carried out with the Director, Administrator, programs officer and programmes assistant. The purpose of these interviews was to obtain views and the challenges faced in complementing the CCDO programme in eradicating poverty by tackling the social problem of youth unemployment. Information from these interviews was compared with that from observations and literature review to gain a balanced analysis. There is no consensuses among scholars, nations and youth organisations on the precise definition of a youth. According to Chirisa and Muchini (2011), there are three categories used to define a youths which are age, as a stage in personal development and as an emotive and troubling images. Youth is best understood as a period of transition from the dependence of childhood to adulthood’s independence and awareness of our interdependence as members of a community. The United Nations Educational, Scientific and Cultural Organization (UNESCO) acknowledge that the term youth is a more fluid category than a fixed age group The United Nations defines the youth as those persons between ages of 15 and 24 years but particular states have their age ranges. The African Youth Charter’s differs from the UN; youth means every person between the ages of 15 and 35 years. Tanzania considers the African Youth Charter’s definition of 15 to 35 as its accepted definition of youths. So in employment issues it is this group which is most vulnerable. Youths have a tense and complex relationship with unemployment. In his biographical analysis of youth unemployment, Hearn (1994), came up with the following conclusions. He identified the social problems of unemployment as among others, disruption of social reference points, dramatic change in everyday habits or habits of a lifetime, loss of identity and mental depression. Hearn proposes that youth who are unemployed experience feelings of rejection and humiliation while the lack of financial resources prevents them from becoming independent. Alheit (1994), adds that the loss of work may be more than a smooth biographical discontinuity such the death of a close relative, instead it may be a chaining together of different discontinuity experiences which can be coupled with individually in different ways. These ways may be both aggressive and depressive such as in correcting minor mistakes such as an exam pass or redundantly overwintering a period of unemployment. Some of the effects of unemployment on the social level include threat to identity, that is, disruption of wishes and self definition. This often leads to drug and substance abuse by youth. Unemployment can also facilitate the formation of youth groups either as youth gangs or as formal youth groups such as youth clubs. These are necessitated by the fact that exclusion from unemployment often leads to social exclusion hence youth are likely to form own groups in order to compensate for this exclusion. Such groups where they do not involve criminal activities are healthy to the personal and social development of the youth. Therefore, CCDO came up with different initiatives to curb against negative effects of unemployment. It has been said that small business entrepreneurship is the way to go for development. The informal sector can promote economic growth and development informal sector by creating wealth and employment. The Small Enterprise Development Corporation (SEDCO) defined a small business as one of less than fifty employees, and annual capital credit requirement of less than one hundred thousand Tanzania dollars as valued in early 1990s. CCDO fits into the smallholder informal sector in Tanzania. The question is whether small enterprises are viable or not and what contributions they are making towards developing the country’s economy. Their performance is critical to poverty alleviation and development through fostering employment creation. This study argues that with the availability of adequate business management skills, markets, capital and technology small enterprise such as capacity building and women empowerment project is a sustainable source of livelihood. From April 2013/2014 fifteen young women from Iringa mobilised and one boy formed their organisation project and named it “Capacity Building and Women Empowerment Project”. They realised that opportunities for getting new employment were not on their side. They approached the Ministry of Small and Medium Enterprises, Iringa Chapter to train them on business skills as they wanted to venture into small businesses. They were trained in the following areas; Micro entrepreneurship and business management, energy and environment, internal savings and lending, change management and conflict resolution, confidence building, purchasing and supply, company formation. The programme equipped them on how to start a business, run a business and close a business. The participants were equipped with knowledge on the basic principles of running and managing a business, record keeping, marketing and stock control. The ministry assisted the group in crafting a business plan and putting in place management systems. This training boosted their confidence in running a sustainable business competently. These skills necessitated them to define a project they wanted to venture in and to identify their market. They discovered that there were several business opportunities they can venture into in Iringa and Njombe regions of the Southern Regions of Tanzania. Types of projects they discovered were the creations of private schools, orphanage and women recreation center, tailoring, batik, establishing internet cafes, car washing, music industry, typing, printing and photocopying. Of the various business projects considering that Iringa is a city which is still growing and there is a lot of construction taking place in surburbs such as Woodlands Park, Ascot in fill, Hertfordshire and many, they decided to venture into tree nursery preparation and brick making because there is a ready market. Key suppliers and potential markets within Iringa were identified. Batik and brick-moulding has not been a common enterprising project as it was exclusively for big and well established companies. They realized that the established construction companies were not located in locations and they were failing to supply demand for tree nursery preparation and bricks. The youths comprised of O level holders, a level holders, university students and graduates. They established their industry in Iringa Woodlands Park where most housing stands are still being built. Before embarking on their projects, the youths toured NGOS and government departments in search of funds to kick-start their project. They submitted the project proposals to the various international funding agencies and we are still waiting for their responses. However, they decided that they could not just lay idle waiting for funding but with the assistance from their parents they contributed five hundred dollars United States of American dollars (US$500) each. The money was used to buy equipment which comprise of the tree planting, internet café and tailoring machines, cement, sand, bowser and other necessities. They asked for permission to use an open space. One of the group member highlighted that water is readily available at CCDO Forest Farm funded by the UNDP for Supporting Community Based Adaptation Initiatives to Cope with the Adverse Effects of Climate Change in three Divisions of Pawaga, Kalenga and Isimani in Iringa Rural District and another funded project by the Tanzania Forest Fund of Tree Planting for Biodiversity Conservation and Livelihood Improvement at Villages Adjacent to Inoho Ward Along Unyagogo Mountaneous Forest and 7 Vilgae Land Forest Reserves along Makete Rural District of Njombe Regions in Tanzania, and this makes their lives easier. They sell their made products at a cheaper price that is twenty cents per standard batik compared the prices of renowned companies such as Summit where the standard batik cost 25cents each. “In the past batik was seen as something that only adults and established companies did, but we have learnt that youths are energetic and can make quality batic and brick moulding too. If people see the houses that have been built with the bricks that we made, its testimony that youths can do a good job, if given the opportunity,” one group member said. Going forward their thrust is to run the business venture in a sustainable manner and for this they require support from individuals, organisations and corporate to place orders for bricks and/or blocks and our made batik by our women youths. The youths do not have to fork out money to transport the bricks because majority of their customers resides in Woodlands and from Kihesa which is nearby. Since 2012, the project had contributed immensely towards their well being. They have been able to supply local builders with bricks and to get income at the end of the month each one of them was able to pocket one hundred dollars a month. The youths have managed to create employment for them and income. However, the group faces many challenges such as inadequate capital, unreliable government structures and volatile economic environment. The money contributed by CBWEP members is inadequate to buy efficient machinery and various raw materials such as fuel. They also need big machines so that they produce many bricks a day. Although there are banks offering loans in Tanzania, bank finance is not easily accessible to youths, in most cases they lack the required collateral security needed to obtain a bank loan. Also, government funds are not readily available and they are a lot of bottlenecks to access them. Most of the youths lack marketing, business management and record keeping skills. Also, transport is a problem because in the long run the group should have their own trucks to ferry cement and sand Also, in some instances they lack expertise of moulding different kinds of bricks as a result most customers will not get the type of bricks they want. If the above challenges are not addressed fully it will affect the viability and sustainability of the project. Although there are support structures that promote youth entrepreneurship in Tanzania, there is still need to assess the extent to which their contribution can lead to sustainable entrepreneurship which creates jobs for the active population (Chimucheka, 2012). This project has indicated that there are various strategies employed by youth in Southern Regions of Iringa and Njombe in Tanzania in order to evade the negative effects of unemployment, and also to shun away from vices that negatively affect community and brick manufacturing is one of them. The youths should make their own initiative to create employment and venture into different kinds of business ventures. However, the government institutions must implement various youth policies on ground rather than for them to remain on paper. Also banks must avail loans to youths so that it boosts their capital base and have sustainable projects. Other institutions such as NGOs and youth organisations must offer capacity building to these enterprising youths so that their business grows to greater heights. For their small business to be sustainable, these youths require a big capital base, modern technology so that they sustain competition from well established companies. Local councils must provide a conducive environment for youth entrepreneurship and the local business fraternity must support them. All in all, tree nursery preparation, batik and brick manufacturing projects can be a salient avenue for employment creation and if pursued properly it leads to sustainable sources of livelihoods for the youths. In concluding, let us underscore the importance of national, regional and global partnerships of all stakeholders in addressing the various challenges of employment creation. Tanzania as the least developed country urgently requires financial, technical and capacity building support in order to deal with the increase of unemployment rate particular of women and youth. Please we are appealing individuals, development agencies, foundations, charities Organizations, NGOs, local governments, researches institutions, universities, public and private sector to join with us to find together a long term-solution for the described human development challenges in this Development Case Study (DCS). Such contribution can be in terms of small cash donation, any humanitarian gift to our loved disabled children, hand used equipments (brick laying machines, computers, tailoring machines, typewriters, carpentry tools etc) project vehicle and ambulance for carrying sick people which is a serious problem in our community due to present of shortages of hospital / health center/ dispensaries as result many people are dying due to the absent of ambulance / vehicles. Are you great with kids? Do you want to help them get a good start in life? The CCCDO are referred to locally as "places of safety". As a volunteer, you can help by working with children, and general caretaking which includes handing out porridge and brushing teeth, teaching English, reading, writing and pronunciation. Simple mathematics and counting, body hygiene, crafts and educational games for younger children may be available as well. Volunteers will be able to use this time to display their mentoring experience, and motivate the students toward a positive future. 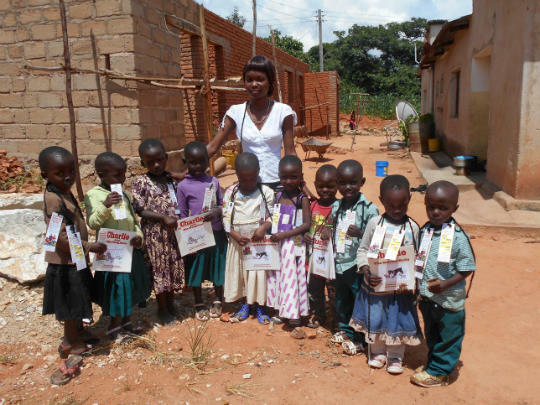 By working with orphaned children you will be moulding the young minds of talented and blossoming children. These children are in unfortunate positions and the impression that you leave on them will remain for the rest of their lives. Working at a CCDO YouthSparks and Employability Creation project, School and Women Computing Center project, and Capacity Building and Women Empowerment Project is a life changing experience for you and the children you are helping. By joining this program, you will have the unique opportunity to assist local staff by teaching and mentoring students coming from impoverished communities. This volunteer program offers individuals the opportunity to work with primary school-aged children (5 years to 12 years) and secondary school-aged children (13 years to 17 years). Your role will be to teach and assist in a variety of ways. You can teach English, Math, or Science at your comfort to identified classes, or work with a teacher and assist in reading comprehension. You will have an opportunity to engage with many students in the classroom, one-on-one, and during classroom breaks. Volunteer teachers may teach geography, computer, and the history of their countries, introduce life skills lesson plans, or teach extra-curricular activities between classroom breaks. Each school-lead will serve as your anchor and guide throughout your learning and teaching experience. Are you interested in the health and wellness of others? Or perhaps you are a health or medical practitioner? Our partner in Tanzania has good relationships with home-based care centers and local clinics. This program places you in an institution which addresses health and wellness issues. You will take part in projects around HIV/AIDS awareness, gender based violence, chronic disease management, home-based care and vulnerable children. We are seeking volunteers who are studying medicine or nursing, or volunteers who wish to make a contribution in health awareness in rural and township communities in Tanzania. In this program, you will work with a wide range of young and elderly people. You may work as an administration assistant or accompany care givers when they go to visit patients and children headed households. We welcome individuals, researchers, or health practitioners who wish to experience the challenges in Tanzania health care sector to apply. “We Believe With Your Donation We Can Achieve A lot….”.